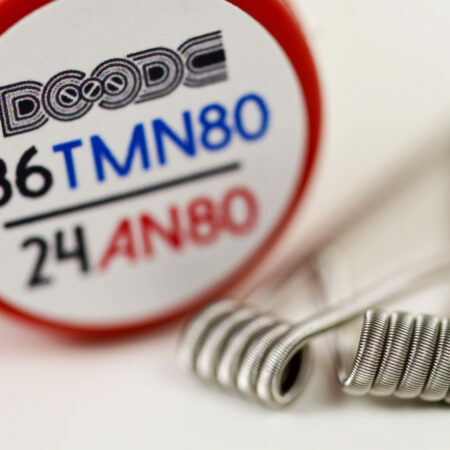 The 24mm Twisted Messes RDA is back in stock! Just recieved my TM24, and i couldn’t be happier. Kent’s customer service is like no other, making every order fast and flawless. The machining on this RDA is amazing, i love the lower profile and the smooth top cap. I prefer the cyclops AFC on the TM24 over the last versions and the draw is perfect and smooth even when cut down some. The engravings are nice and deep on the polished stainless, particularly on the bottom of the base. It vapes great, just like all the TM products. Kent, you outdid yourself on this one and I am in love. The DOODE coils were an added bonus as well! Thank you!!! The o rings are terrible. At first I thought they were great but instead of getting worn in, easier to put cap on, it got much worse. Even when using only one o ring it’s too tight to put cap back on without ample pressure. I am worried that I am going to break the 510 connector on the mod with such force. Yeah it looks sweet, it’s easy to build on, and has nice engraving. Would have been 5 stars but the o rings are a huge concern. No coils were included unlike the previous review though I wasn’t expecting any….just saying so others aren’t misled. Thank you for the feedback. 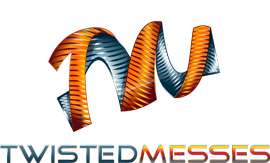 We’ve sent an email from support@twistedmesses.com with tracking for a replacement unit. Sorry for the issue you had with the RDA you received. We’ll double check the replacement for issues before sending it out. And in regards to the coils, that was part of a holiday sale we ran during Labor Day, sorry if that caused any confusion. Absolutely incredible, the reduced chamber produces incredible flavor. The dual cyclops airflow is amazing, great vapor production. Definitely my new favorite. Great product. This is the BEST rda I have owned or used and cannot recommend it enough. Awesome JOB Kent! I received my purchase from The website and I’m super excited to have it finally. But I hate to ask but is the TM24 supposed to only come with 3 screws installed in the deck because I only have 3 in the posts I got the Black and Gold Deck. I understand there are extras spares but I am just curious because it’s not loose in the box or anything. Also the driver im not sure if it needs to be broken in but when I tried it out in the screws it doesn’t go into the screws it just kinda grabs the top of them with out entering and having the screws completely. I’m concerned that in a short time it will strip the screws so I’ll just use other Allen key driver’s which is a bummer because the TM squared screw driver worked flawlessly on the 22mm deck but this one sits above the screws not in them other than that the deck is gorgeous. But a concern nevertheless. My other concern is right out of the box my Black Top cap has a few spots that has a paint blemish or coat blemish or scratches I don’t know if that’s a paint or coat imperfection or what but I figured it’s worth mentioning. Please when you have a chance let me know what you think. I also recieved the extra matte black AFC and drip tip which have no issues at all and I am very very happy with them thank you so much for them they look freaking amazing murdered out on my IPV D3!!! I asked this question as well in the contact is portion of the website but I was interested in Purchasing ANOTHER Deck the SS version of the TM24 but don’t see it for sale on the website was wondering if that was an option to purchase at all as well as extra screws. I’m proud to purchase from your web site can’t really always say the same about other sites or vendors. P.S. I have not used built or even vaped this New RDA as I just got my mail about 20 Min ago but I’ll also attach my order info. Thank you your Rda’s are my absolute favorite !! !